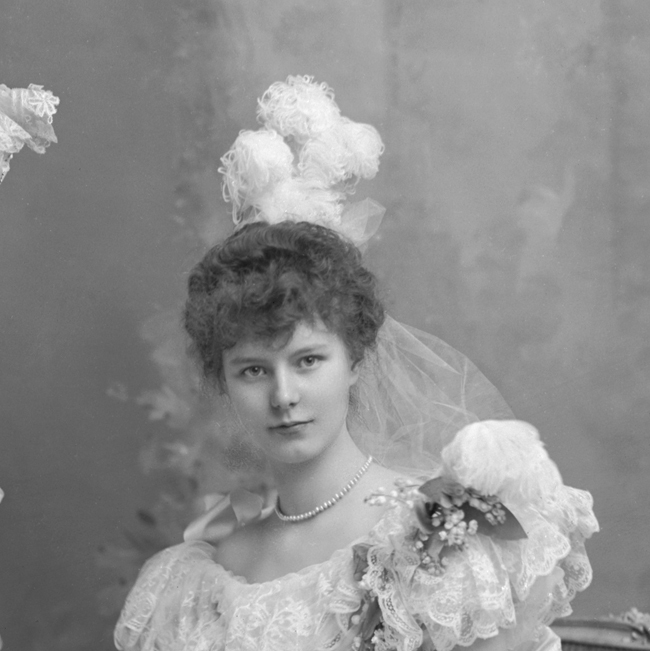 Hon May (Clarke Mary Nisbet) Hamilton, later Lady Hemphill (1879-1970), m (1913) Rt. Hon. Stanhope Charles John Hemphill, 2nd Baron Hemphill (1853-1919). 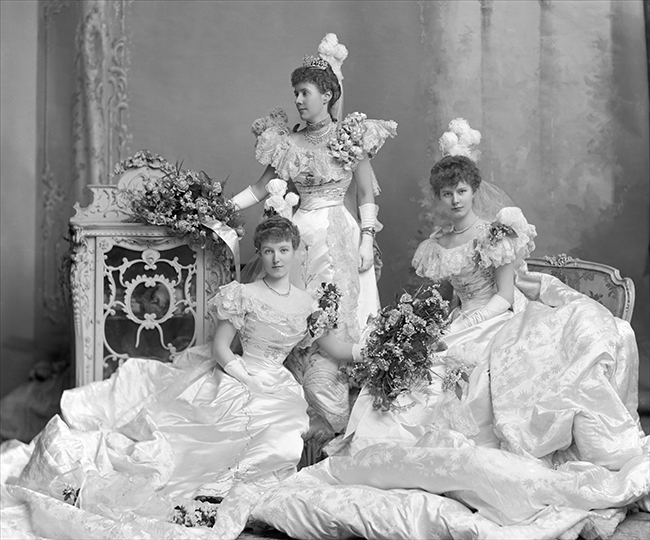 Occasion: The Drawing Room, 11 March 1898: Hon Leonore Hamilton summoned to the Court; Hon May Hamilton presented by her mother, Georgina Lady Belhaven and Stenton. (Hon. May Hamilton) "White satin, with diamond embroidery and lilies. 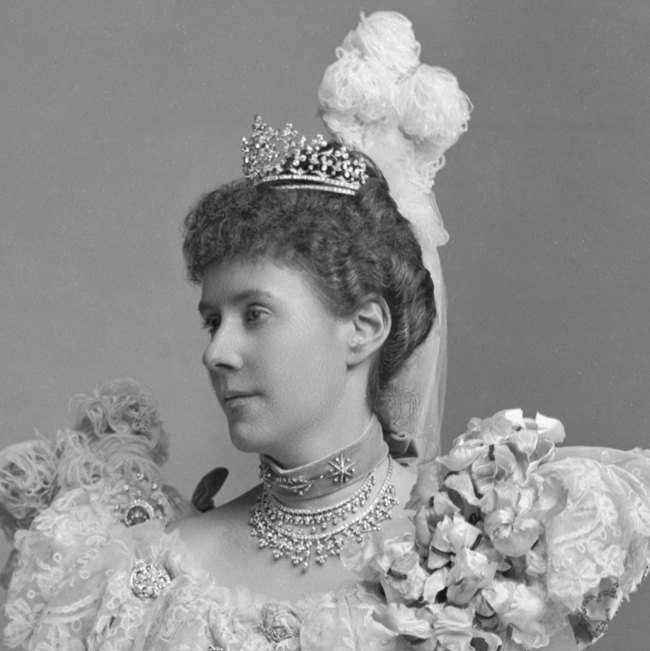 Train of white brocade, turned back down one side with flowers and plumes" (see: The Queen, 19 March 1898, p 507). Costume Supplier: Messrs Bradley, 129 Westbourne Grove, London. Furniture & Props: Painted rococo style backdrop; Louis XV style giltwood canap�; Rococo sideboard; studio Persian rug. 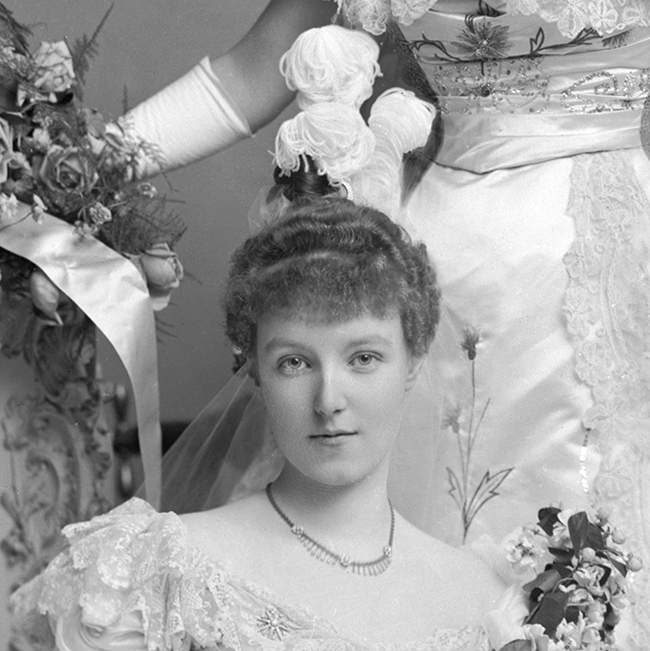 Costume: The Queen, 18 March 1898, p 507. Costume Supplier: The Queen, 18 March 1898, p 507. Reproduced: The Sketch, 18 February 1898, p 51; The Ladies' Field, 26 March 1898, p 376; (version) The Sketch, 18 February 1903, p 164.